Pest Control: Don’t Let Roaches Make You Sick! There is no reason to live with pests in your home! Pests can spread disease, and they can damage the structure of your house or business. No one wants to live with them; they go against our desire to live in a clean, tidy home. There are consequences, beyond the heebie-jeebies, to allowing pests to gain a foothold in your home. In this week’s blog, we will look at some of the dangers associated with having a roach infestation in your house. 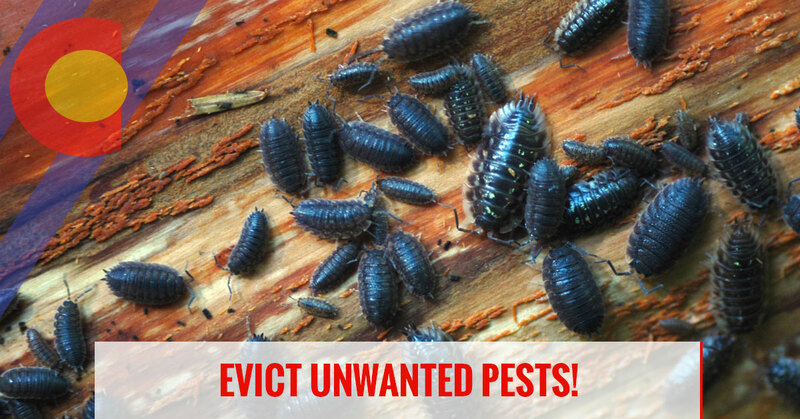 Remember, there is no need to live with cockroaches, just call Colorado Pest Management, and we’ll evict those unwanted pests, and do so without making your home a toxic mess for you, your children, and pets. We provide both residential and commercial services, and if you run any type of food service company, call us right away before a customer gets sick or you get a visit from the health department. Some people take for granted that there will always be a few stray roaches around the house or business. But this is not true, and there are dangers to tolerating even a few roaches. The rule of thumb is for every roach you see; there are one hundred where you don’t see them. So, if you see a few roaches, you probably have the beginning of an infestation. Call Colorado Pest Management as soon as you see a roach, and we will come in and work with you to eliminate the problem. Roaches pose a health risk to you, your family and your customers, and need to be dealt with quickly and completely. Roaches are well-known vectors of disease and germs. They can carry bacteria such as salmonella, and this can lead to food poisoning and viruses as dangerous as polio. If that doesn’t gross you out enough, they transmit these bacteria and viruses will. Roaches vomit and defecate on food and any surface and then the bacteria or virus can be spread to you. All aspects of a cockroach’s life cycle hold a threat for respiratory distress. From the eggshells, dead body parts, feces, and their smell, the presence of roaches pose a danger for asthma sufferers. While not dangerous, roaches also emit smells. There are two main smells associated with a roach infestation. One is the smell they use to attract other roaches, and the other is the smell of dead roaches. Colorado Pest Management uses a pest control method known as Integrated Pest Control (IPC) and an effective and safe method. We will first inspect your home and confirm the problem. We will look for factors that are contributing to the success of the roach population, such as a source of food and water for them. Other factors might include loose pipes that allow them to enter your home or business. We will identify the type of roach, and with our knowledge of this particular pest, we will design a customized plan that takes into account your particular home and situation. After we have enacted the plan we have designed, we will continue to monitor the situation, and if and when the need arises, we will revisit, reinspect and take more actions to control this nasty, unwanted pest. Our plan could include action items such as identifying the source of the infestation (which could be a delivery source if you are a business), a thorough cleanupof infested area, sealing entry spots, and initiating a plan for keeping the area free of food and water. Call us today for residential or commercial pest control that is safe, non-toxic and effective.